Immigrants, Indigenous people and members of the LGBTQ community are disproportionately represented among Quebec’s homeless population, according to the first-ever province-wide survey into the problem. 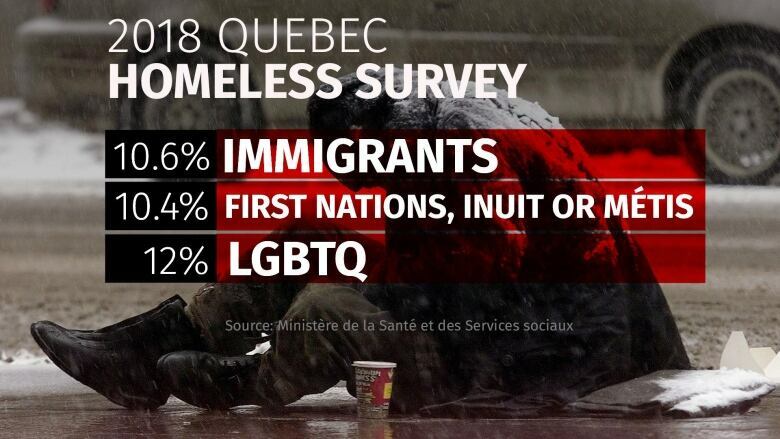 Immigrants, Indigenous people and members of the LGBTQ community are disproportionately represented among Quebec's homeless population, according to the first-ever provincewide survey into the problem. 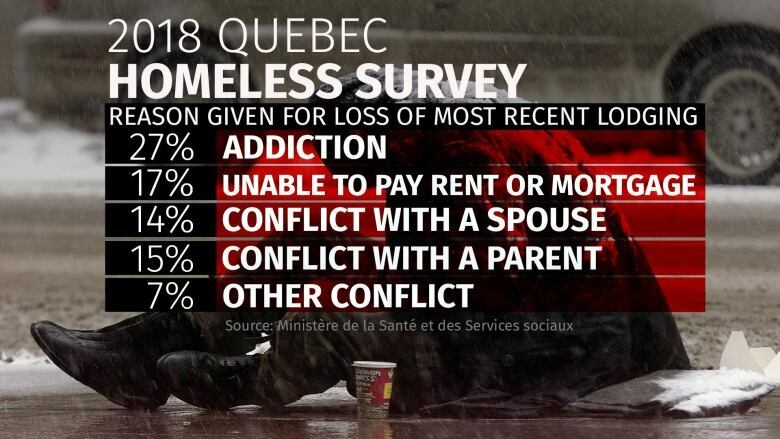 Overall, the survey, conducted by Quebec's Ministry of Health and Social Services, found 5,789 people were "visibly" homeless on the day the census was conducted, last April 24. 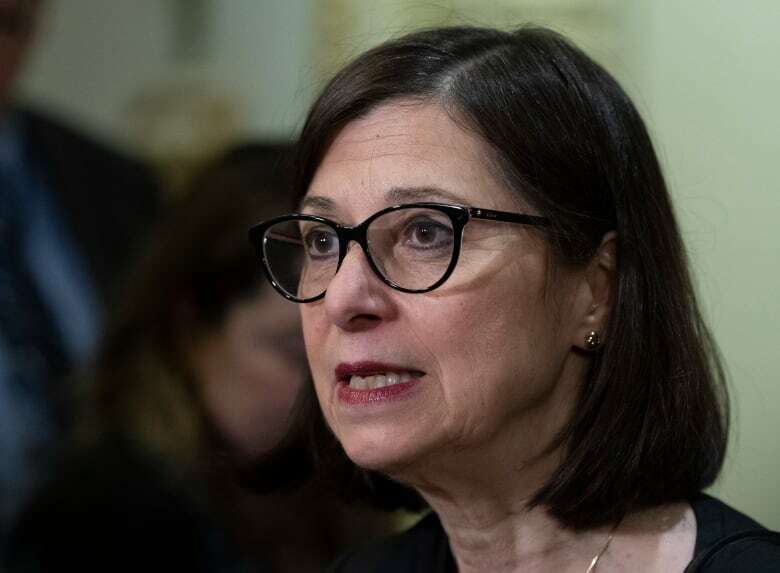 Health Minister Danielle McCann said the survey, detailed in a 267-page report made public Monday, will prove invaluable for working "to improve our interventions and better meet the needs of people in the field." She didn't announce any new funding aimed at curbing homelessness. Officials who conducted the survey stressed the total number of homeless people is likely far higher, once the so-called "hidden homeless" — those without a permanent address who aren't necessarily living on the street — are taken into account. This is the second such survey conducted in Montreal. The new survey found that 3,149 people were homeless in the city, compared with 3,016 in 2015. As part of the survey, volunteers were recruited to canvas streets, parks and parts of the underground city. The number one wish among those questioned was help finding a new home, followed by finding a job. In the latest survey, 72 per cent of those surveyed across Quebec were men, 26 per cent were women and two per cent identified as "other." Indigenous peoples, especially Inuit, as well as immigrants, refugees and those who identified as LGBTQ, were over-represented, compared to the rest of the population. When asked about the reason for their current situation, 27 per cent of the time the explanation given was addiction. In 17 per cent of cases, respondents said they were unable to pay their rent or mortgage. Conflict with a spouse, parent or other person was also a frequent response. The Réseau d'aide aux personnes seules et itinérantes de Montreal (RAPSIM), a community group that provides services for the homeless, cautioned that the survey doesn't paint a full portrait of the problem. 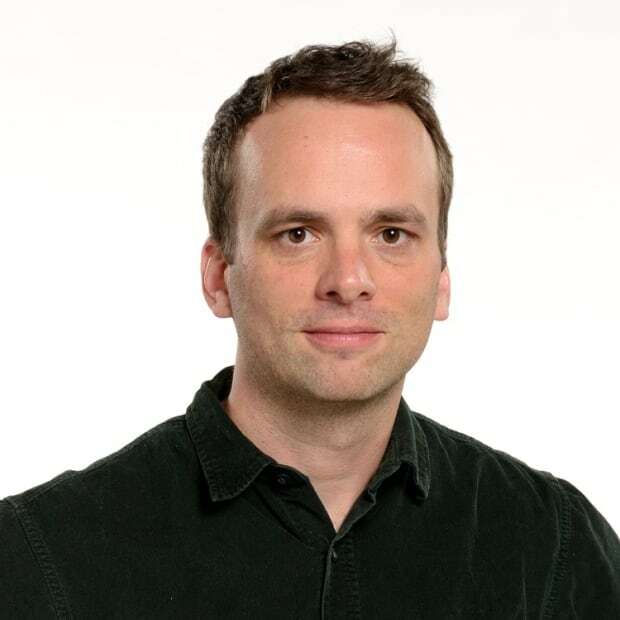 In a statement, RAPSIM said the survey "obscures many of the realities of homelessness, those of women and men of all ages who live in hidden homelessness situations." "Counting is not a good indicator of the extent of homelessness, and of progress and setbacks in the fight against the phenomenon," the statement from RAPSIM said.